South African startup ProsperiProp is launching an initial coin offering (ICO) to fund its platform that allows people to buy into property investment portfolios using digital currencies. 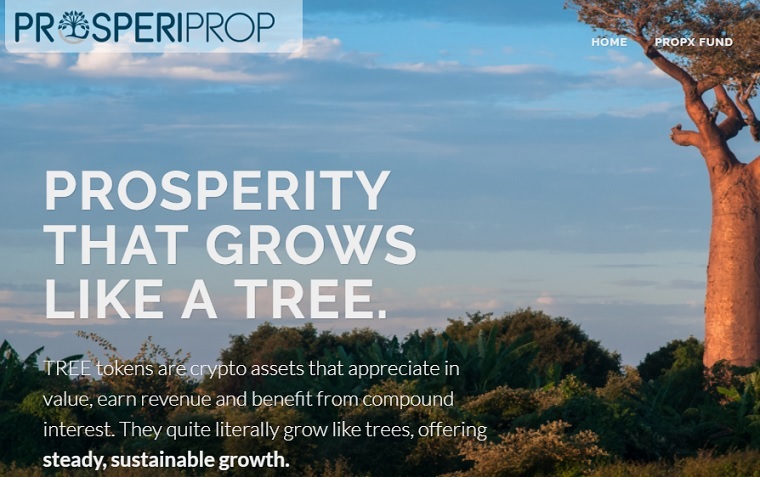 ProsperiProp has created a new cryptocurrency, “TREE”, each one of which represents a micro percentage ownership of property share portfolio, with its value driven by share dividends and capital growth. Whereas ordinarily top property portfolios require minimum deposits ranging from tens to hundreds of thousands of dollars, ProsperiProp aims to allow people to buy into such portfolios from only US$2. In order to get this off the ground, the startup will open its ICO on Friday, September 15. The launch of the offering was delayed by one week in order to “allow the storm to pass” after the recent regulatory noises towards ICOs in the United States (US) and China’s banning of the token offerings. Rather than waiting for the TREE tokens to launch, ProsperiProp is encouraging interested parties to take part in the ICO by buying PROPX tokens in return for special shares in the ProsperiProp global business. Funds raised during the ICO will be applied to funding the business,​ ​setting up a special purpose vehicle (SPV), and purchasing investment assets. Once these elements are in place, the TREE tokens will be created, marketed, and sold.